(Photo courtesy of North Ogden) North Ogden Mayor Brent Taylor, a major in the Utah National Guard, announced Monday, Jan. 8, 2018, that he will temporarily leave behind his executive duties with the city to deploy to Afghanistan. After he got his orders in January to deploy to Afghanistan, North Ogden Mayor Brent Taylor went live on Facebook to tell his constituents he’d be gone and what to expect. It was an easy choice for him, one that was months in the making, rooted in decisions he’d made years ago to serve God, his family and his country. The plan was to be gone one year. Family learned Saturday he'd never return. Taylor was killed during an apparent insider attack early Saturday in Kabul. The attacker was immediately killed by Afghan Forces, according to NATO. The Utah National Guard hasn’t confirmed Taylor was killed in the attack, but Maj. Gen. Jefferson S. Burton, the adjutant general, in a news release, said: “My heart breaks for the loss and sacrifice of our soldier, particularly for the family. I wish them all the comfort and courage to face the difficult days ahead." (Facebook) "My 'after mountain climbing' breakfast. Grapefruit, oatmeal, omelette, yogurts, boxed soymilk (we don't have the real stuff), juice, chili, and Cheerios. Gotta make those calories back up! P.S., my friends threw in all the salt and pepper packets to make fun of me for taking a picture of breakfast in the first place! " This photo was posted in a public Facebook group on Oct. 17, 2018, by North Ogden Mayor and National Guardsman Brent Taylor, who has been killed in Afghanistan. Utah Gov. Gary Herbert said in a statement that he was heartbroken by Taylor’s death, calling the North Ogden mayor a “brave and selfless soldier." “The entire Herbert family mourns with this soldier’s family and we pray that their burdens may be lifted, and that the hearts of all Utahns will reach out to comfort them in their grief,” Herbert said. Taylor, a major with the Utah National Guard, deployed as part of an advisory team that trains members of an Afghan commando battalion. 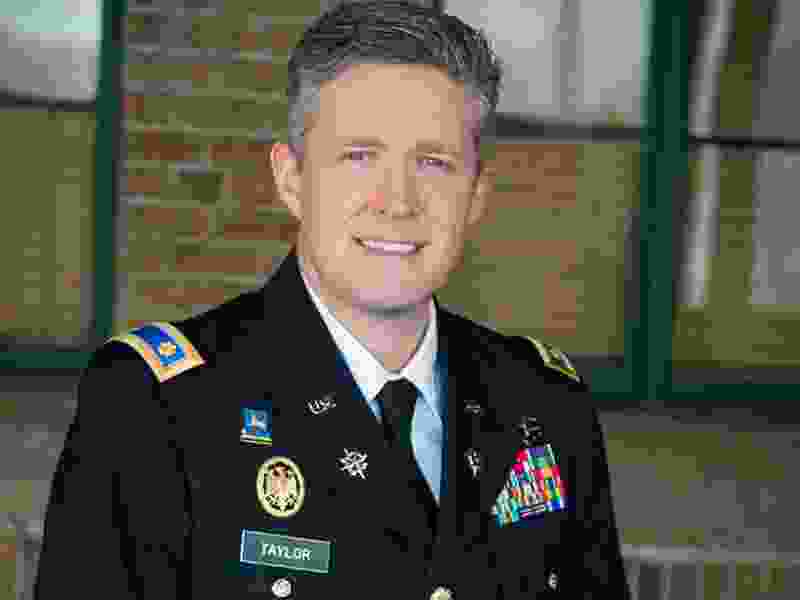 In his Facebook Live video announcing his deployment, Taylor said his service would help fulfill President Donald Trump’s order to increase troops and expand the capabilities of the Afghan units. On the day of his deployment in mid-January, North Ogden police escorted Taylor and his family around town as hundreds of residents lined the streets to see him off. “I think it proves what a great leader he is that he’s willing to sacrifice and leave his family to fight for his country. I think it’s really honorable,” Jeremiah Jones, deputy fire chief for North View Fire District, told ABC4 at the time. North Ogden City Councilman Carl Turner said he was in shock Saturday after getting the news of Taylor’s death. Turner said he and Taylor would talk about the mayor’s mission in Afghanistan. Turner said Taylor would always tell him how fun it was. “And he loved the people over there, and he loved working with them,” Turner said. During his deployment, Taylor often posted about the Afghan soldiers he interacted with, saying he was inspired by their dedication to the cause. In his last Facebook post, written on Oct. 28, Taylor wrote about the recent Afghan election, saying: “The strong turnout, despite the attacks and challenges, was a success for the long-suffering people of Afghanistan and for the cause of human freedom. I am proud of the brave Afghan and U.S. soldiers I serve with. Many American, NATO allies, and Afghan troops have died to make moments like this possible; for example, my dear friend Lt. Kefayatullah who was killed fighting the Taliban the day before voting began. During a deployment to Iraq in 2007, Brent and Jennie Taylor led an effort called “Feed Uncle SAM,” which saw Jennie gather about $75,000 in care packages, toys, educational materials and humanitarian supplies in Utah. Then Taylor led 14 other Utah soldiers to the rural Iraqi villages of Qudeela and Ankawa to distribute the donations. "I want you to know you put smiles on the faces of the Iraqi people today," Brent Taylor said in a statement to the Utahns who donated. Turner said when Taylor and his wife were first dating, they bonded over their shared love for the Constitution. He said Jennie Taylor was “over-the-top supportive" of her husband’s military service. “That’s how they are. They’re God and country first,” Turner said. And that, he said, means they’re family-first, too. North Ogden City Councilman Phillip Swanson said he’d just spoken with Taylor two days ago, and that he and Taylor’s friends and family are “all just heartbroken” over the news. Swanson, who said he and Taylor had gotten close as “political crazies” in North Ogden over the past six years, said city officials are still trying to wrap their heads around the news, but are planning some kind of ceremony to honor Taylor. He said he’d have more information Monday. Taylor was elected to the North Ogden City Council in 2009 and then as mayor in 2013. He was re-elected in 2017. He earned a bachelor’s degree from Brigham Young University in 2006, and went on to get a master’s degree from the University of Utah in 2012, according to his biography on the North Ogden city website. He was also a vocal critic of the Utah Transit Authority, even as he served on the UTA board. Members of that board initially tried to block his appointment by the Weber Council of Governments, since his father is a train operator. State Auditor John Dougall disagreed that the conflict was disqualifying and Taylor took his seat. He then voted against UTA’s budget, the only member to do so. That UTA board has been disbanded, replaced with a new three-person board. Before his death, Taylor served more than a decade in the U.S. Army National Guard, including seven years on active duty. He had served two tours in Iraq and one in Afghanistan, not including this most recent tour. Taylor was the first Utah politician to take advantage of a law that allows elected officials to keep their position while deployed overseas, giving temporary control to someone else until they return. Mayor Brent Chugg had been serving in Taylor’s absence. North Ogden city administrator and attorney Jon Call said Saturday that he’s not “exactly sure” what will happen to the mayor’s position. He said there are two options: Either Chugg stays in office, or he will automatically lose the position — since Chugg was essentially a placeholder for Taylor — and the council will appoint a new mayor until the next election in November 2019. Since Taylor has been the only elected official in Utah to use the statute, Call said he’s not sure what will happen. “The selflessness and sacrifice of our service members define the Utah National Guard. Our priority right now is to take care of the family, ensuring they have all the resources they need during this critical time,” the release said. The last Utah National Guardsman killed in action was 27-year-old Staff Sgt. Aaron Butler. He died on Aug. 16, 2017 in an explosion while clearing buildings in Afghanistan’s Nangarhar Province. Before Butler, two other Utah National Guardsman were killed in action in Afghanistan: Sgt. 1st Class James Thode in 2010 and 2nd Lt. Scott Lundell in 2006. A GoFundMe page has been set up to help support Jennie Taylor and her family. To donate, visit bit.ly/MayorTaylor. Tribune columnist Robert Gehrke contributed to this report.